Proof that friends come in all shapes and sizes! In this charming story, a triangle, a circle, a square and a rectangle celebrate the gift of friendship. Or do we mean friend-shape? After all, friends shape who we are. They make us laugh. They fill us with fun. They stand by us during life’s up and downs. Even if we fall out with them, a good buddy never stays bent out of shape for long! 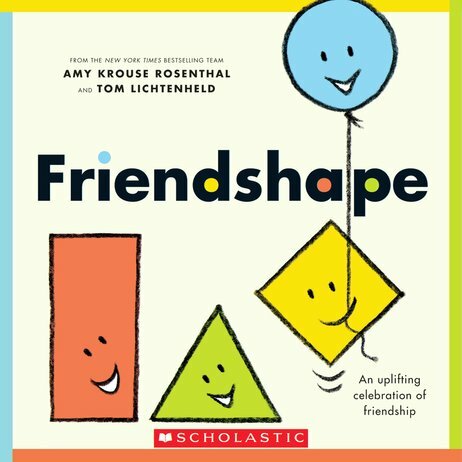 This simple book lets you rejoice in the fun of friendship and name lots of shapes. Wonder at it, smile with it – then share it with your circle of friends! From the bestselling creators of Exclamation Mark!